June 28, 2011 – Even if we could, I don’t think we should. | What I got rid of today. ← June 27, 2011 – Embracing the everyday. 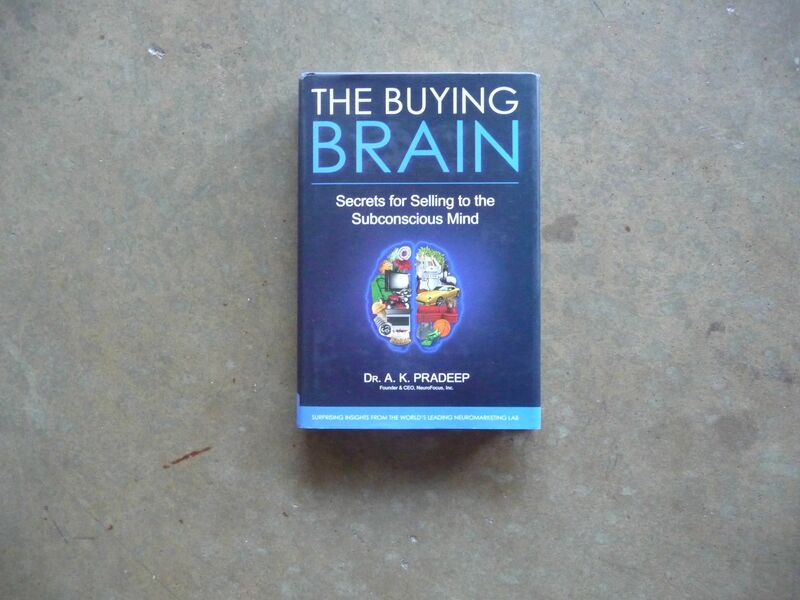 The book: a marketing book about how the “measurement of the brain” can lead to better marketing results. The science: in my opinion, a load of hooey. The science is, suffice it to say, highly suspect. The issue: even if we could do this, should we? Have we as marketers, as Americans,…so bought into our greed that we would attempt to manipulate the brain chemistry of consumers to get them to behave the way we want to? If you’ll excuse me, I’ve come to my own opinion about this. We, all of us, in our daily lives should be contributing to POSITIVE things happening in the world…GOOD and GREAT experiences delivered to the people who buy our company’s goods and services. Not simply the wanton manipulation of people for financial gain. There are those who will object to this. But, I say…if your product or service doesn’t actually enhance the lives of people, then maybe you should invest in improving it — rather than in manipulating brain chemistry.